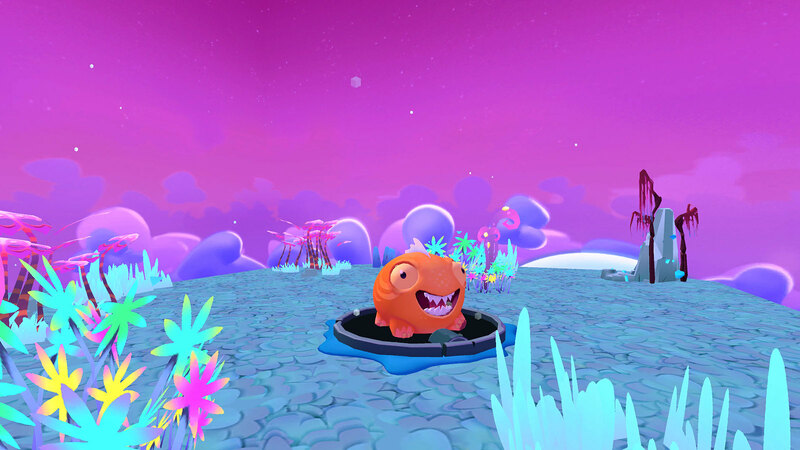 Brainseed Factory creates a vibrant VR platformer featuring adorable alien creatures who just want to go home. Do you remember how your favorite toy made you feel as a child? Those little bursts of enthusiasm and happiness when you imagined it to be alive? I always saw my toys as my friends each with their own character. I created whole worlds that were rooted in my imagination. While I played, I slowly shifted into other galaxies full of adventure. Time didn’t matter. With Squishies we wanted to evoke this feeling again. We wanted you to be closer to your inner child and slooooow doooown while experiencing another world. 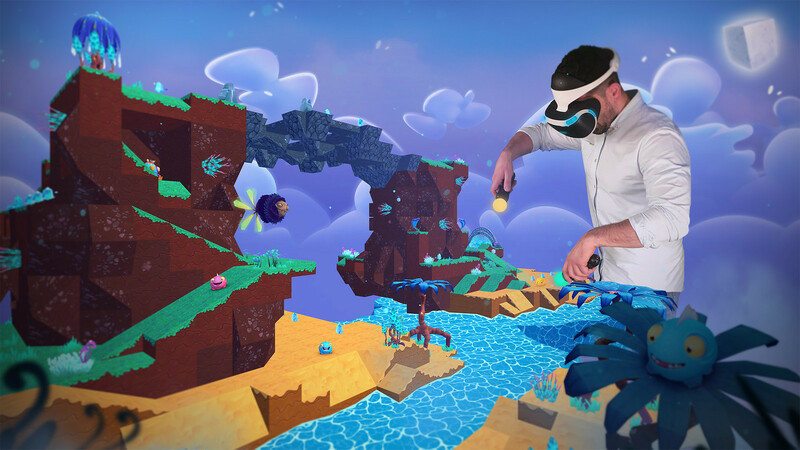 That’s why we chose to use PS VR to make it even easier to get lost in the Squishies universe when it launches on November 20. As some of you may know, we created a game called Typoman, a dark and morbid 2D platformer. We loved making Typoman, but working for years on a depressing world of letters and monsters left us wanting to do something entirely different (overcompensating?). 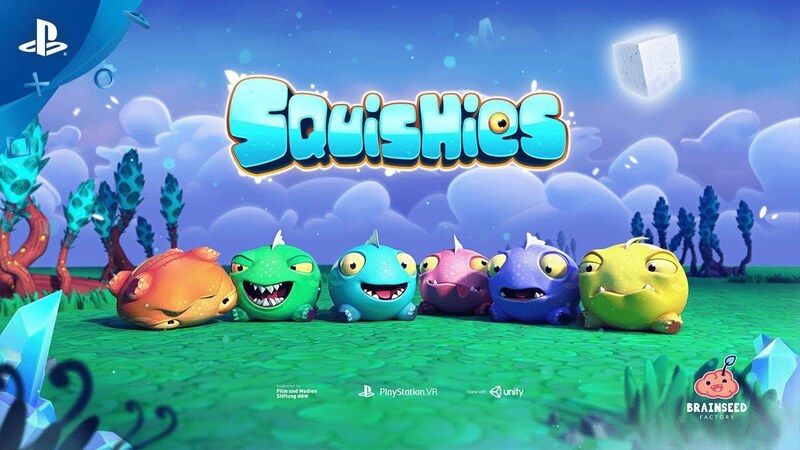 Squishies is a joyful, relaxing experience, full of color and life… of course, there’s a little bit of peril, too. Your goal is to help stranded Squishies find their way back home. You do this by using your superpower – which is pushing & pulling Squishies around with the help of your transdimensional Alien Fish friends (PS Move controllers). 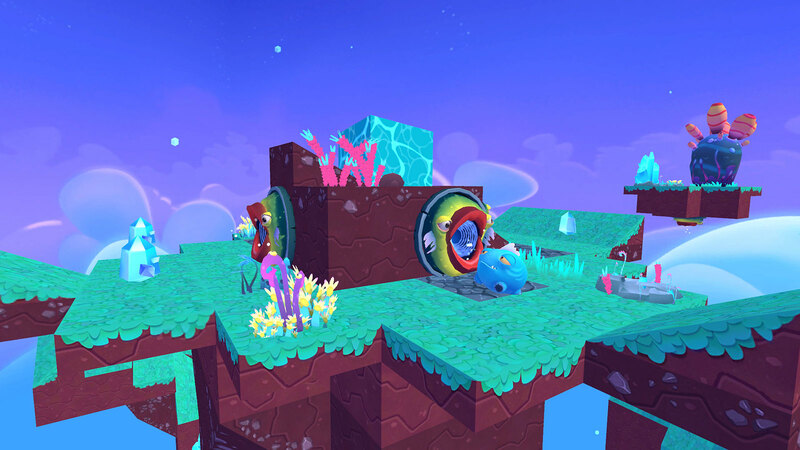 To complete each level, you need to roll the Squishies to giant alien gates, ensuring them a safe route home. When the environment gets too hazardous you’ll need to use power-ups, alien technology and helpful creatures to get by (and don’t forget, you’ll need your little superbrains as well). While helping this tubby species you’ll forget that you are actually still sitting in your living room looking like a Power Ranger petting small animals (yes, you do!). 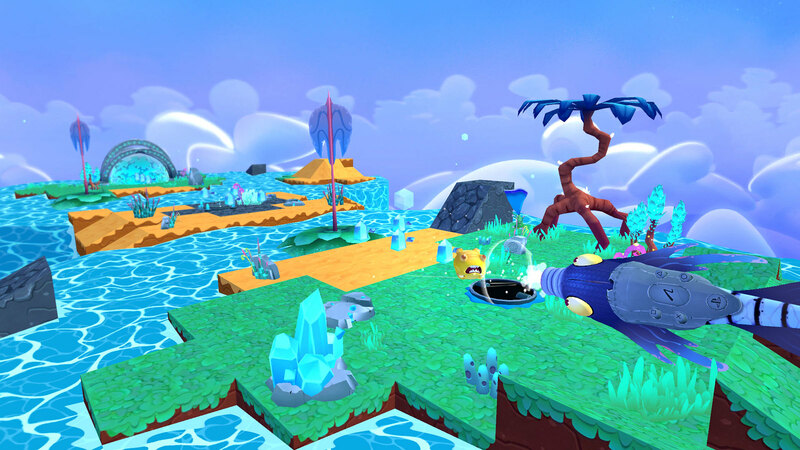 Aside from the extra adorable look of those creatures and the ingenious challenging gameplay, we wanted you to experience the huge fun we had while creating all these levels. That’s why we implemented the same tool that we used during development, so you can have the same experience that we had. The level editor makes it possible for you to bring your own imagination into the game world. We also wanted to give you the opportunity to share your masterpieces with other players all over the globe. Because we all know, sharing is caring, right? To end my (obviously very objective) monologue about the awesomeness of our new game, we, as a team, want to state that we cannot wait to see your creativity and imagination being shared with the community. We are really looking forward to see what you guys will create with the power of your minds! Great news, never enough VR content! The alien creatures remind me of Little Deviants. I love puzzle games like this in VR. This game looks like a lot of fun. Also happy to see a level editor and look forward to making some interesting levels. If there is any chance of adding a platinum trophy you definitely should! I remember seeing that cartoon water asset sold in the Unity Asset Store for $5. LoL!